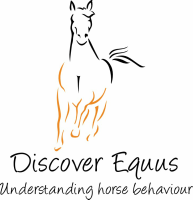 This four-day course is to inform you about horse behaviour and teaches you to understand the language of the horse; 'Equus.' It will make you aware of how your body language affects the horse, and teach you to work around the horse using subtle yet effective movements. During the course you will be learning how to 'Join-Up', a concept created by Monty Roberts that creates a long-lasting relationship between you and the horse, based on trust and partnership. You will also be introduced to the Dually halter, a training headcollar designed by Monty, that intrinsically teaches the horse respect on the lead rope through using pressure and release. The course will be a combination of both practical and theory, so you can put what you learn into practice, and most importantly understand why the horse behaves the way it does. *Price includes 30 day subscription to Monty Roberts online university which offers hundreds of training videos, advice and various tips. Participants are welcome to bring their own horse at no extra cost, provided they are physically fit and healthy. ​Participants are welcome to bring their own horse at no extra cost, provided they are physically fit and healthy. The one-day Join-Up and psychology day provides you with an insight to horse psychology and Monty's methods. Those without a horse, will be provided with safe and easy to handle horses. If you are interested in taking part in any of the above courses, please contact Anna at discoverequus@gmail.com to discuss dates. 'My son and I have just returned from a fantastic "join up " day with Anna. After a fascinating insight into horse psychology she took us through the join - up step by step. It was a real joy to be taught by such an expert - we will take her suggestions away and work on them with our horse. 'Yesterday I rode my spooky ,crazy ,wonderful boy in the area dressage . We have been to a session with Anna and have been practising her techniques.